To find the cheapest flight from Dubai to Zanzibar (Tanzania), compare prices of all airlines operating flights on this route. Our flight comparison tool to the left and the list of airlines with links to their respective online flight reservation systems below will assist in the search. Direct flights are not available on this route, however, Ethiopian Airlines and Kenya Airways provide a 1-stop flight service. The distance between Dubai's Airport and Zanzibar International Airport is some 4,773km. It is 1 hour later in Dubai (United Arab Emirates) than in Zanzibar (Tanzania). We suggest setting your watch to Zanzibar's time as soon as you board your flight (the earlier you begin acclimatising to the new time zone the easier). The mere mention of Zanzibar conjures up images of pirates, spices and sandy white beaches for most people. The islands were discovered by the Persians who used them as a base for their voyages between the Middle East, India, and Africa. It was also a convenient place from which to trade with Eastern African coastal towns, so they settled in what is now known as Stone Town on the main island, Unguja. With at least 20,000 years of human occupation, Zanzibar is a treasure trove of different cultures, religions and architecture. The most enjoyable time to visit Zanzibar would be between July and October. The cheapest would be April to June, but you will then have to cope with the heavy monsoon rains. Since the islands are only a few degrees south of the equator, it is almost always very hot and very humid. Be sure to take your malaria tablets too. Keep your clothing light and comfortable, and ladies, keep your shoulders and knees covered! Ninety five percent of the population is Muslim, so it makes sense to respect this. There are direct flights from Johannesburg to Zanzibar, with South African Airways, Kenya Airways or Precision Air, Tanzania's largest airline. You can also fly into Dar Es Salaam and take one of the several daily ferries to Zanzibar. There will be transport available at the port or airport and Stone Town is excellent visited by foot. Driving conditions tend to be on the adverse side, so if you were thinking about hiring a 4x4 to drive up to Dar Es Salaam in the hope of getting on one of the cargo ferries, it really is more trouble than it's worth. As for accommodation, you can go for all out luxury, or budget bungalows. There is the beautiful Diamonds Gemma Dell Est Zanzibar with tropical gardens and waterfalls. You've also got the Sultan Palace which is one of the very few 5 star hotels around. As for budget accommodation, there are many options to choose from. Hakuna Majiwe is situated right on the beach with no other tourist developments in sight. Arabian Nights is one of the most popular guesthouses on the island and is only a 40 minute drive away from the airport. 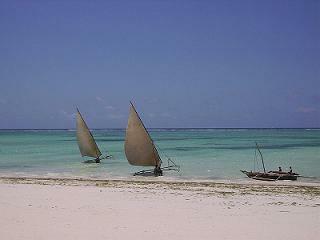 The main attraction to Zanzibar is quite obvious, the stunning beaches, it is the stuff dreams are made of! 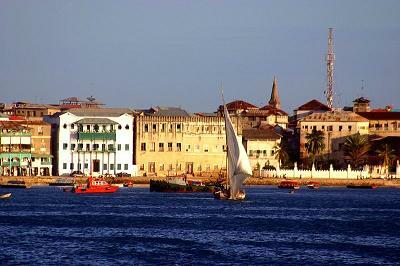 Stone Town is a must see for all visitors to Zanzibar. This is where it all started and many of the buildings have been restored to their former glory. 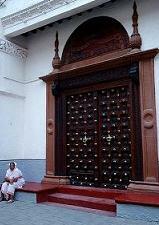 The "House of Wonders" is a prime example of the excellent restoration work done. The area has been declared by UNESCO as a World Heritage Site and David Livingstone famously stayed here during 1866. Visit the Forodhani Gardens after sunset to sample the myriad freshly grilled seafood and other famous Zanzibar recipes. Darajani Market is famous for its maze of stalls selling anything from spices to electronics. Dive courses are on offer at many of the hotels, so you can learn something while you enjoy the beauty of Zanzibar! Snorkelling is also great in the crystal clear water and equipment is easy to come by. 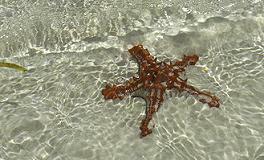 The rich marine life and coral reefs will keep you enthralled for hours. Zanzibar seems to have a certain aura about it; it seems wise beyond the ages. Open your mind and heart and let it all in! Zanzibar features a tropical wet and dry climate, with two different rainy seasons: the long rains, which fall during April and May, and the short rains, which fall during October and November. Its temperatures are fairly constant since it is situated on the Equator. The best time to visit Zanzibar is from June to September, when the temperatures are milder and the humidity is low. Looking for a decent beach resort in Zanzibar? The Sea Cliff Resort & Spa comes highly recommended. Located only 20 minutes from Stone Town and very close to the airport and other attractions, one can have a bit of both worlds. Ask for room on the top floor with a sea view a small distance away from the pool area and you can enjoy Zanzibar sunsets from the privacy of your balcony (while sipping champagne). Afterwards, visit the in-house restaurant and choose a meal from an ever changing menu or take a stroll down to the personal pier and let the natural ambience of the ocean envelop you.